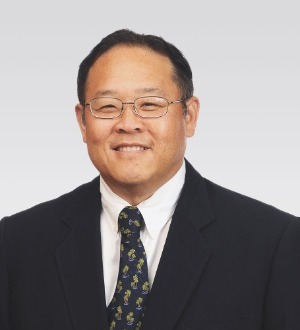 Harry Y. Oda is a partner in the firm's Honolulu office, concentrating his practice in the areas of corporate law, commercial transactions, estate planning, pension, probate and taxation. Mr. Oda is a member of both the Hawaii and California Bar and has been practicing law since 1987. He was again selected by attorney peers for inclusion in The Best Lawyers in America 2018 for Closely Held Companies and Family Businesses Law, for Employee Benefits (ERISA) Law, for Trusts and Estates, and for Litigation - Trusts and Estates; he has been listed in The Best Lawyers since 2010. In 2013, he was named Lawyer of the Year - Hawai`i - for Employee Benefits (ERISA) Law, by the publication. Qualified Retirement Plans Draft and amend profit sharing plans, money purchase pension plans, 401(k) plans and target benefit plans. Represent plan administrators in audits conducted by both the IRS and DOL, concerning and involving qualified retirement plans. Employee Stock Ownership Plans Assist in structuring the succession of closely held corporations through tax deferred sale of stock to ESOPs and ESOP repurchase obligations. Qualified Domestic Relations Orders Prepare qualified domestic relations orders for assignment benefits under qualified retirement plans. Advise plan administrators as to issues concerning the enforcement and qualification of domestic relations orders. Public Sector Retirement Plans Advise public sector in the design maintenance, administration and fiduciary obligations relating to public sector retirement plans. Estate Planning Prepare estate plans for individuals to allow for the transfer of wealth to future generations with special consideration for the transfer of qualified retirement benefits. Trust Advise trustees on issues relating to fiduciary duties and proper management of trust funds and provide day-to-day operations advice. Work includes advising both trustees and beneficiaries of their rights under trust agreements. Trust Litigation Assist in the representation of both trustees and beneficiaries in disputed trust accountings. Structure workouts as among beneficiaries for the termination and final distributions of trusts. Selected by attorney peers for inclusion in The Best Lawyers in America 2018 for Closely Held Companies and Family Businesses Law, for Employee Benefts (ERISA) Law, for Trusts and Estates, and for Litigation - Trusts and Estates; he has been listed in The Best Lawyers since 2010. In 2013, he was named the Lawyer of the Year - Hawai`i - for Employee Benefits (ERISA) Law by the publication.